Get your celebrity look here at Inance. 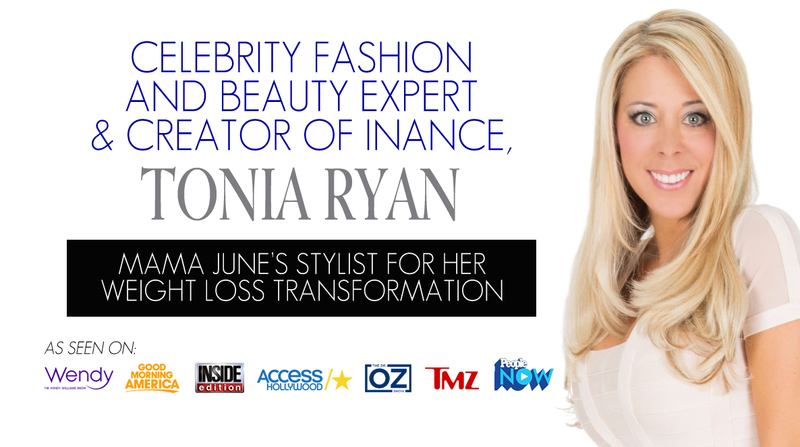 Our founder, Tonia Ryan, is a celebrity stylist and image consultant. She has worked with some of the most well-known celebrities in Hollywood and Beverly Hills. Tonia just walked the Red Carpet for The "Baywatch" Movie Premier with the hottest celebrities such as "Baywatch TV" Star Donna D'Errico, "The Rock" Dwayne Johnson, "The Hoff" David Hasselhoff, and Zac Efron! Tonia is also most recently known as Mama June's stylist for her incredible weight loss transformation. While Mama June started out at 460 pounds, she is now down to only 137 pounds! Mama June is now down to a size 4 and Tonia is honored to be a part of her amazing transformation process. Not only that, but Tonia would love to be your personal stylist, too! 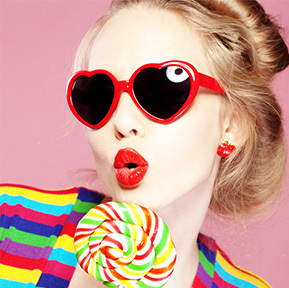 This fashionista has made a career of finding just the right style and fit to show off you inner and outer beauty. Plan For An Upcoming Event: Vacation, Divorce, New Job, New Date, Weight Loss, Retiring, Wedding, Honeymoon, Bachelorette Party, etc. And YES, you get to speak directly with me, a live person! FYI, each and every client is different and has specific needs and wants, so this is where I will spend my time getting to know you and we can put together a plan for your stunning & stylish future. After our phone consultation, I will customize a package exclusively for you based upon your style goals. Get the Red Carpet Treatment and feel like a Celebrity Today!